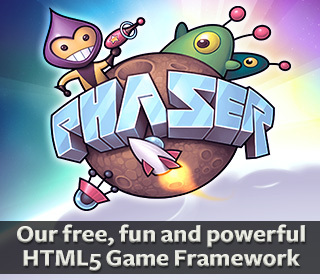 Given the incredible number of new devices being released at the moment I was curious to see what people playing our HTML5 games were actually using. So I took the combined stats from 3 of our games over the past 3 months. That’s from 1st August 2012 to 31st October 2012. I discounted stats before this as I wanted a current snapshot of the state of the market. Here are the results. Update: These stats are pulled from Google Analytics, so are at the mercy of however Google handles device detection. Having said this there are an increasing number of Windows 8 based phones entering the market right now, so it will be interesting to see how this statistic changes over the coming quarter. 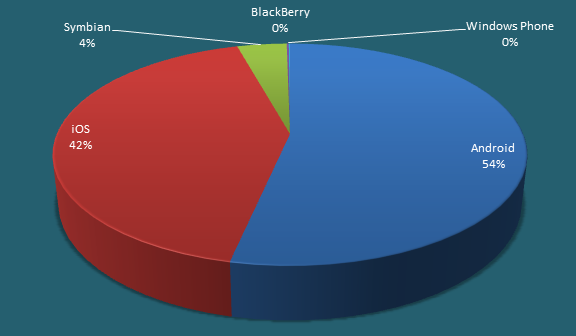 As for BlackBerry however that to me just looks like a lost cause. As I wrote about previously SpilGroup released my game Abombinaball on November 20th, so today I wanted to catch up and see how the stats were going – and to see which country was the most popular. Sadly when they released the game they got the width/height of the SWF wrong, which meant the graphics distorted and it was really hard to play (as you couldn’t even see your status bar). I think this has had a negative impact, and while they fixed it on their own portals, the fixes didn’t carry to all the other sites that seed from them. Strangely which country do you think liked the game the best? UK? US? Actually it was Spain, easily in the lead with 22% of the total plays. Poland came a close second with 17%. The worst performing country? Malaysia with a lowly 117 plays. Awww! 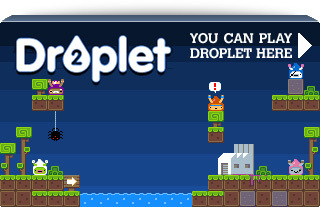 As Spils exclusive deal is now over Abombinaball has started to be featured elsewhere, including being today’s top featured game on the excellent Gamezhero.com site. It’s only been live for a few hours but has a 4/5 rating from 80 votes already, which is great. The Gamezhero team did a wonderful job of making the game feel special on their site, so full credit to them. I have not included stats from this version in the above total, so it’ll be interesting to see how it compares. I’ve also submitted the game to GameJacket and Mochi today. I’ll add all of these figures into the next update when one month is up, so we can see how standard distribution via Mochi compares to the likes of heavyweight portal owners such as Spil. Ricardo Cabello released a really nifty stats tracker the other day. Just download the Stats.as file from his Google Code site, create the following folder structure: net / hires / utils and place the Stats.as file into that. Once done you can import the package into your own code and make use of it. The FPS gives you a current and maximum frame rate count (the maximum is derived from the stage frame rate setting). The MS is a micro-second counter. MEM is the total memory (in MB) your SWF is using. The cute little graph below that is a historical visualisation of these three things, so you can watch for spikes / peaks during activity. You can click the top/bottom of the stats to increase/decrease the stage framerate. All I’d say is remember to make sure this happens on the TOP of all of the rest of your display list items.